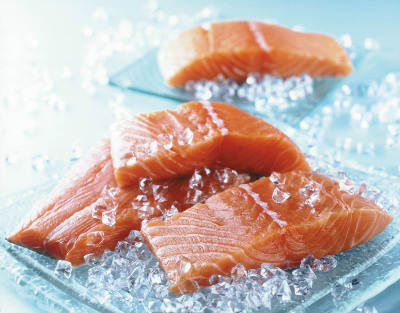 Opportunities in US for Scottish Seafood Companies. A five strong team of Scottish seafood companies is making its way across the Atlantic this week to show North America it’s business as usual as they head to Seafood Expo North America (SENA) with industry body, Seafood Scotland. With Brexit on the horizon, North America provides opportunities for seafood businesses to expand within an existing market. Multiple meetings with buyers, retailers, hoteliers and chefs will take place at the three-day show, which is attended by over 22,000 seafood professionals from across North America and the rest of the world. As part of its in-show activity, Seafood Scotland will host a series of cooking demos with Scottish chef, Mark Greenaway. Mark will take part in the Great Scottish Seafood Cook Off against a local Boston chef. Both chefs will use a variety of species including cod, langoustine, salmon, trout, crab and smoked salmon creating unique dishes representative of their signature style. Seafood Scotland has also planned activity around the show which will see local restaurants feature Scottish seafood on their menus and will work with local retailers to promote the provenance and quality of going Scottish. The Scottish seafood delegation heading to Boston includes Loch Fyne Oysters, the Scottish Salmon Company, Dawnfresh, Wester Ross and Scottish Seas with additional companies walking the show or hosting their own company pavilions. Seafood Scotland will also be joined by popular Canadian chef, John Higgins. Originally from Scotland, Chef Higgins is an advocate for Scottish seafood and its success in the North American market. The former Buckingham Palace chef believes seafood from Scotland is some of the best produce available to chefs across the globe. He will join Mark Greenaway at a Scottish networking reception at The Kitchen at The Boston Public Market where a Scottish/US styled seafood ‘cook-off’ will entertain the guests. SENA runs from Sunday 17th to Tuesday 19th March. Follow Seafood Scotland’s Boston journey via their Instagram account @seafoodfromscotland.